Kohlrabi (German turnip or turnip cabbage) (Brassica oleracea Gongylodes group) is an annual variety of cabbage vegetable. 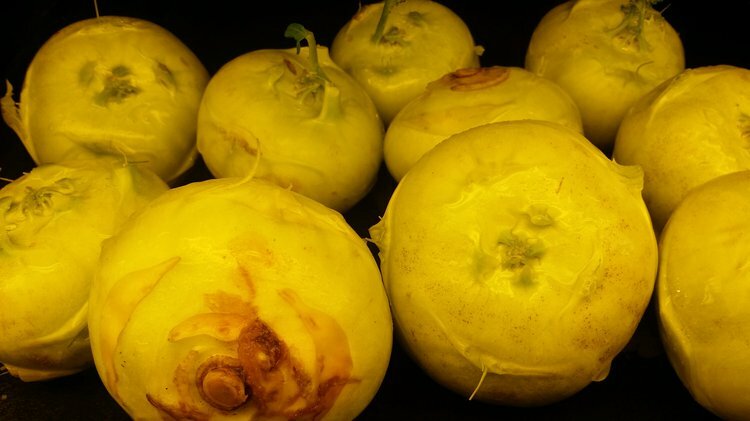 Kohlrabi is a very commonly eaten vegetable in German-speaking countries and northern India. Here are 7 health benefits of kohlrabi. One cup of kohlrabi contains 140 percent of vitamin C. Vitamin C is hypothesized to increase the production of cytokines and lymphocytes to fight infections. Kohlrabi is a great source of fiber. A one-cup serving of parsnip contains 5 grams of dietary fiber. The daily recommended dietary fiber intake for men and women are 38 grams and 25 grams, respectively. Fiber can help prevent constipation, making one’s bowel movement easier to manage. Bunzel, M., Seiler, A., & Steinhart, H. (2005). Characterization of dietary fiber lignins from fruits and vegetables using the DFRC method. Journal of agricultural and food chemistry, 53(24), 9553-9559. Morrison, J. A. (2012). Symptom Relief and Weight Loss From Adherence to a Meal Replacement-enhanced, Low-calorie Detoxification Diet. Integrative Medicine, 11(2), 42. Beecher, C. W. (1994). Cancer preventive properties of varieties of Brassica oleracea: a review. The American journal of clinical nutrition, 59(5), 1166S-1170S.